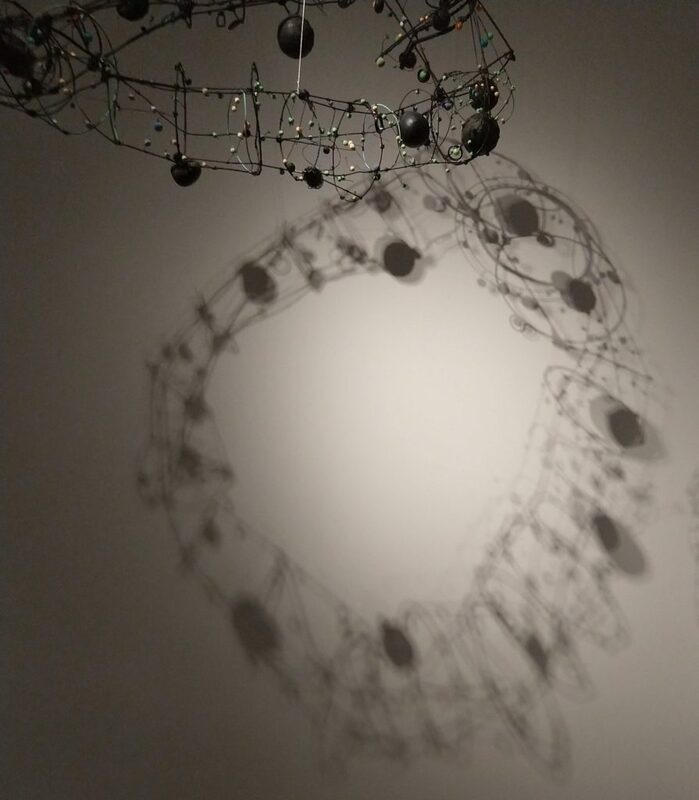 I don’t know why I am obsessed with shadows, but I am. My dictionary (yes an actual physical book which sits next to my computer) first defines a shadow as: A comparative darkness within an illuminated area, especially that caused by the interruption of light by a body or object. Further down the listing it defines shadow as, A mirrored image: to see one’s shadow in a pool (this one does not seem to be as familiar a usage). So there was another free day at the local museum, and as usual I popped in to see what’s new. 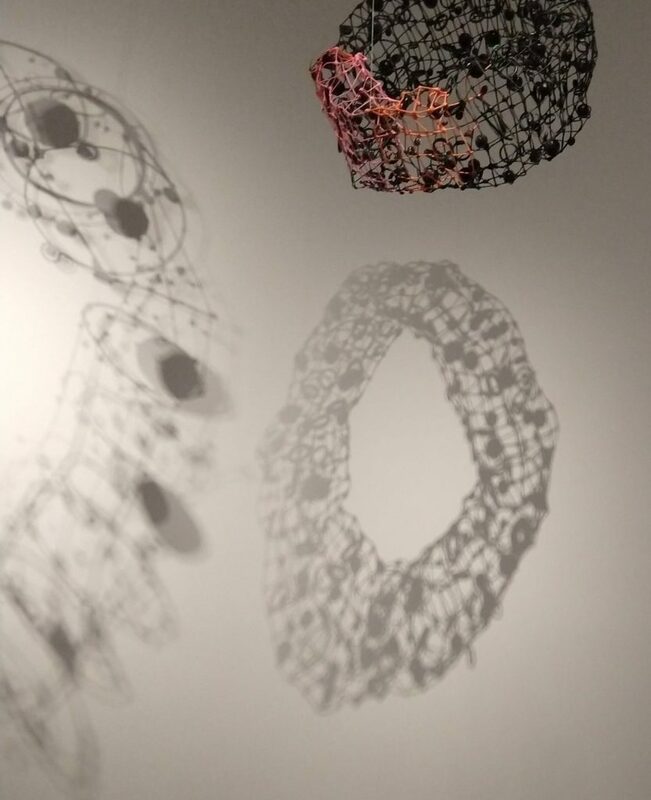 And there was an abundance of shadows to be seen in the newest show. This artist had used found bits of the detritus of life to make art. 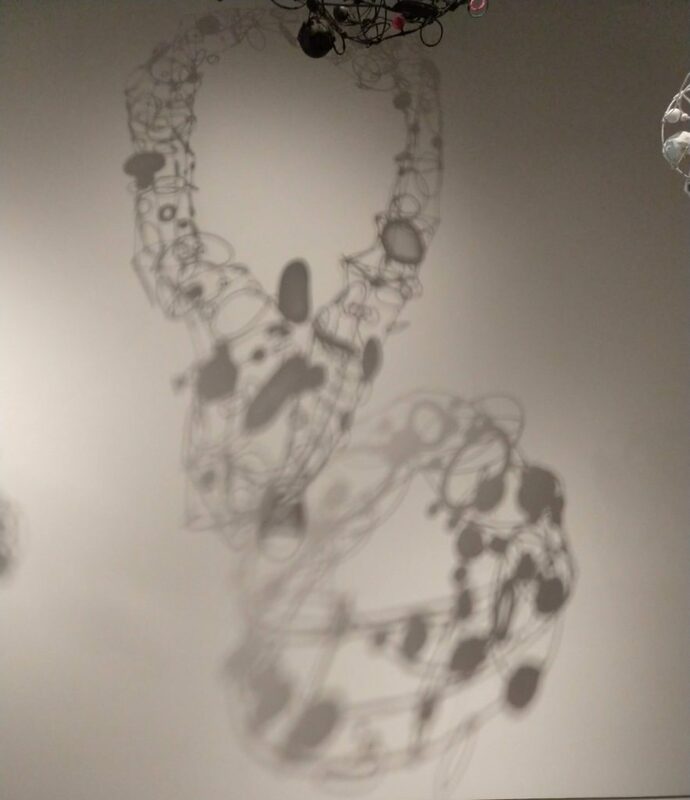 While the artwork itself was only mildly interesting, the works cast fabulous shadows. Definitely an interruption of light going on here. 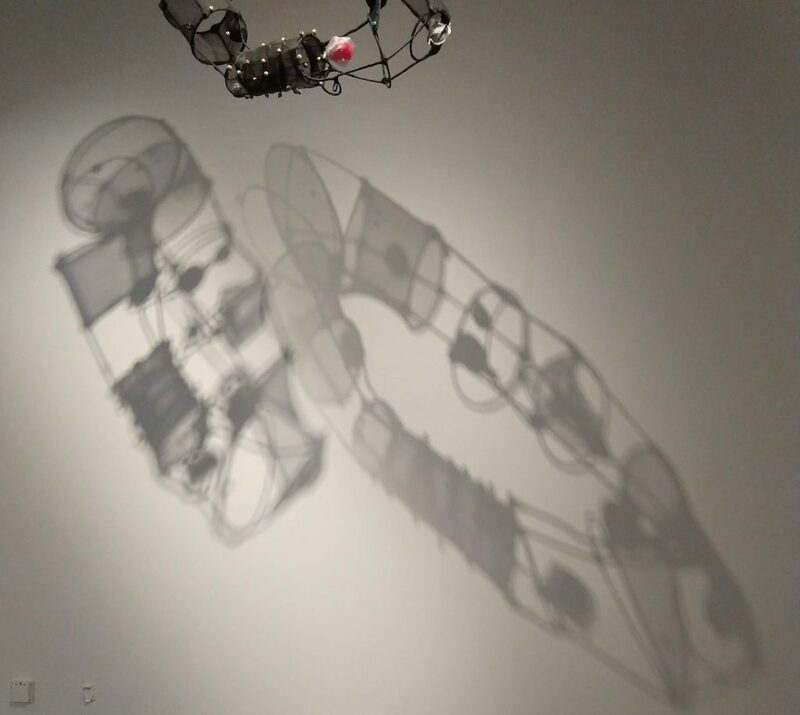 All of the pieces are made of similar stuff, bits and pieces of flotsam wired together, but each casting a lovely shadow of comparative darkness thanks to the illumination of the museum lighting. Here was my favorite reflection of the day, it features multiple mirrorings of the original thanks to it’s plexiglass box. 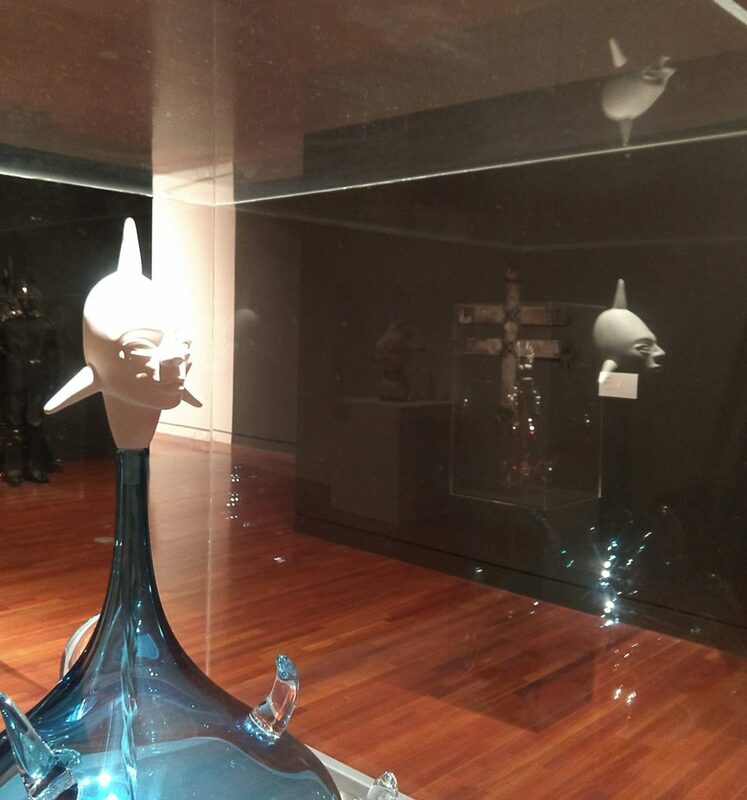 Repetition and enigma, these are things that add an extra bit of interest to the art, and were probably never intended or anticipated by the artist. But it’s what I see and appreciate when I look at these works.